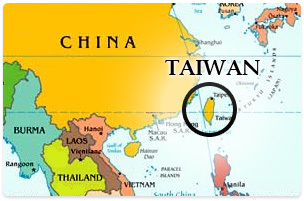 Taiwan is a young, self-governing democracy in Asia. Taiwan is one of our strongest allies, and our 10th largest trading partner. Most of the world’s laptops, LCD screens, computer chips, and more come from Taiwan’s companies. The 23 million democratic people living in Taiwan matter. We need to support Taiwan, for our own national interests, and to support the growth of free, democratic culture in Asia. Taiwan’s people deserve to be safe from military threat, to receive health information and supplies from the World Health Organization, and to participate with and benefit from other international institutions. Right now Taiwan is one of THE hottest flashpoints in the world and we NEED to pay attention to the situation to keep the situation peaceful and free.